That’s My Glass! | Als Ik Kan Designs – Woodworking, Crafts, and More! Do you have a special occasion coming up? Are you trying to plan a memorable event such as a birthday party, bachelorette party, girls’ night, neighborhood get together, or bridal shower? 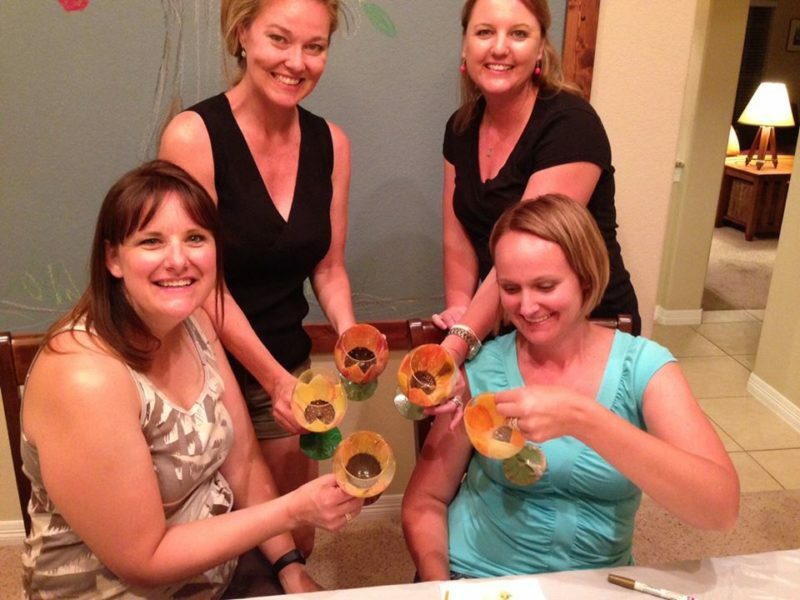 If so, Als Ik Kan offers “That’s My Glass” wine glass painting classes in your home or business. Relax and let us help you uncork your creative side. Cost is $15 per participant. We provide everything needed for the class – glasses, paints, brushes, and more! What could be easier? No painting experience required! Ready to host a party in the Marietta area? Use the form below to contact us. Please include the date, time, location of the event, and the anticipated number of participants.